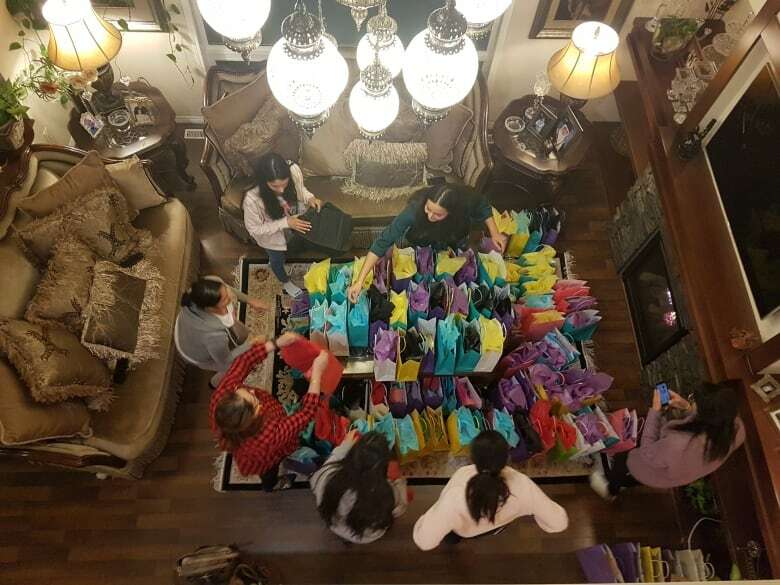 Members of the Winnipeg Sikh community spent Wednesday night putting together something they hope will bring a little light to Valentine’s Day for survivors of domestic abuse. 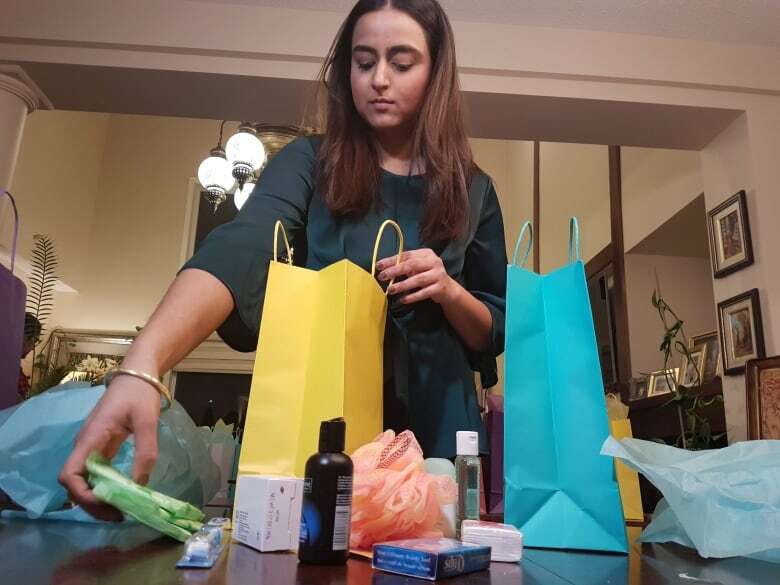 A group of volunteers with the World Sikh Organization of Canada placed hygiene products, chocolates, and baked goods into 107 colourful care packages that will head to those women in shelters on Thursday. 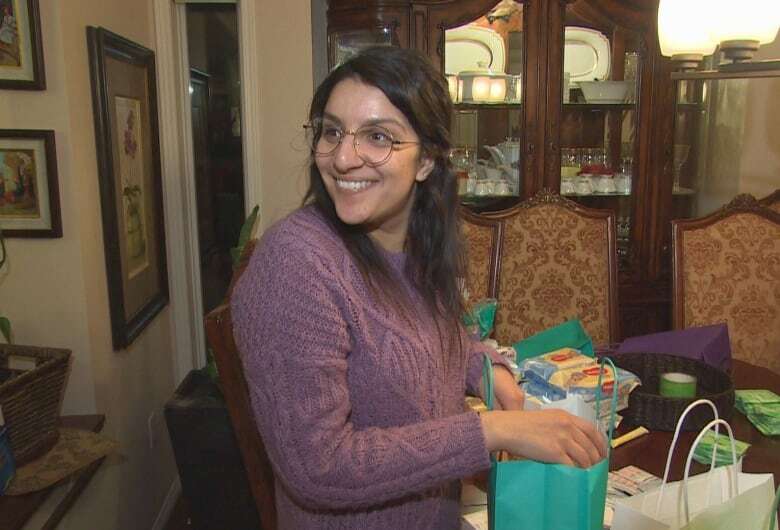 “There’s definitely a lot of love going into the packages,” said Imreet Kaur, leader of the project, surrounded by more than a dozen volunteers assorting the bags Wednesday night in a South Pointe home. The effort was part of the seventh annual One Billion Rising event, which aims to draw attention to the many forms of violence women face the world over. The campaign started on Valentine’s Day in 2012 and its name stems from statistics that suggest one in three — or over one billion — women will face violence in their lives, the organization sates. The packages are destined to end up with women at three shelters: Ma Mawi Wi Chi Itata Centre, the Native Women’s Transition Centre and the New Centre at the North End Women’s Centre. Along with the treats and essential items, each bag comes with a cute and comedic Valentine’s Day card made by local school children. One card included a drawing of a bumble bee and the words “bee mine” while another contained a heartfelt message. “The most courageous act is to think about yourself and practise self love. I hope you take some time and pamper yourself because you deserve it today and every other day,” Imreet Kaur said, reading out one card. Mahekleen Kaur said the group took time out of their day to help those who may not have all the means to help themselves. She said Valentine’s Day should be about celebrating love and connection between communities. 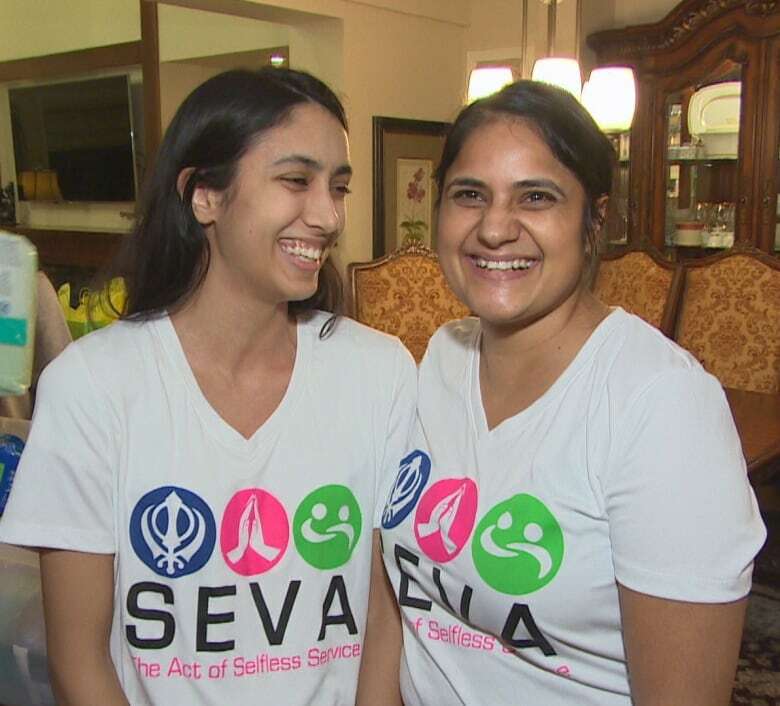 Navi Sidhu, 20, and Jaspreet Kaur, 33, said Seva, meaning to give back through community service in Punjabi, is an important part of the Sikh faith. In addition to sending love to the women in shelters, Jaspreet had a message for her own valentine.